When you get thrown out of space camp on your first day, where do you go from there? Well, the only answer is to steal a spaceship and run away. It’s been a long time since I have read a book that literally taken off on page 2. This is super fun fast paced read. 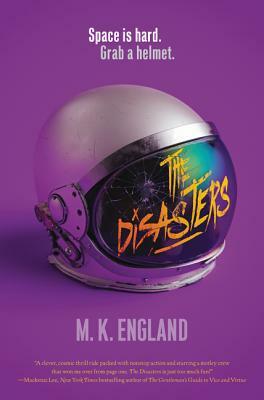 The Breakfast Club meets Guardians of the Galaxy in this YA sci-fi adventure by debut author M. K. England. Hotshot pilot Nax Hall has a history of making poor life choices. So it’s not exactly a surprise when he’s kicked out of the elite Ellis Station Academy in less than twenty-four hours. But Nax’s one-way trip back to Earth is cut short when a terrorist group attacks the Academy. Nax and three other washouts escape—barely—but they’re also the sole witnesses to the biggest crime in the history of space colonization. And the perfect scapegoats. On the run, Nax and his fellow failures plan to pull off a dangerous heist to spread the truth. Because they may not be “Academy material,” and they may not even get along, but they’re the only ones left to step up and fight. Full of high-stakes action, subversive humor, and underdogs becoming heroes, this YA sci-fi adventure is perfect for fans of Illuminae, Heart of Iron, or the cult classic TV show Firefly and is also a page-turning thrill ride that anyone—not just space nerds—can enjoy. 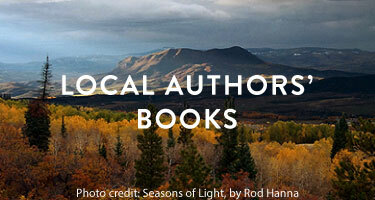 M. K. England is a youth services librarian who grew up in Florida and is now based in the mountains of Central Virginia. Before becoming a librarian, M. K. was a bookstore clerk, a teaching assistant, and an experimental music composer. She is an active presenter at local and national conferences, and you can find out more at www.mkengland.com.